This is an article about the story of G13 marijuana. In our shop we have the most reliable G13 lineage available on the market, namely, the Mr Nice G13 x Hashplant. From all marijuana strains available on the market today, few have achieved such a legendary fame. A fame that has led to the creation of icons and even to mythology, urban legends and a movie. Where G13 marijuana comes from and whether or not the whole story is true, even if it really existed has been the subject of countless debates. Following the weak trail that this plant has left behind, we travel back to the amazing seventies in the United States where this legendary plant was supposedly created. One of the legends says that it was the US government to created it with the aim of improving the quality of Paraguayan crops where they "tolerate" certain activities in "restricted areas"... Also seen in the American cinema, specifically in the movie American Beauty which has contributed to give a greater mysticism. According to the most reliable story written by Jesse for Treat Yourself magazine, this plant was apparently developed from a government research center at the University of Mississippi, despite some some detractors and benefactors of this story. It appears that G13 marijuana was part of a project led by Dr. Carlton Turner, who was conducting research on sativa and indica cannabis. The key man in the achievement of the legendary variety G13 was Michael Hallman. He had acquired a large number of marijuana strains during the 60s and 70s. He was finally arrested for this reason and these varieties were left at the hands of the CIA and the FBI, who later used them to genetically modify them to get the G13 variety in government secret laboratories. G13 marijuana was found among a batch of Afghanistan G1 Indica labeled with the G23 name. G13 was said to be of greater quality to any other plant surpassing all its research partners in all fields. It far surpassed them with its fast flowering time on indoors, a large resin production, excellent power and extreme hybrid vigor. One thing is known for sure is that Neville Schoenmakers, the Seed bank pioneer and founder or co-founder of the veteran had a G13 clone tagged that managed somehow to get it. Opinions vary but apparently he got it from a certain Sandy Weinstein, another famous grower who is credited by its first American Indica like Ortega and had a friend who worked at the government research center in Mississippi. All this can not be proved, several sources indicate that it is true but some do not so everything is left to the judgment of the one who reads it. With a THC percentage of more than 28 percent, this strains is ranked as one of the most powerful varieties to date. However, this may not be real since the research conducted at the University of Mississippi as part of the Power Monitoring Project (PMP) does not present records of strains with a potency higher than 9.5%, which is quite low compared to the most commercial varieties that are found today. PharmChem Laboratories Inc. has also tested the potentcy of selected varieties during this time and never reported THC levels above 14 percent. People who claim to have smoked the original G13 marijuana have reported that it was very powerful but none of them can give a potency analysis. Moreover and in the catalog of The Seed Bank in 1989 sold G-13 x Hash Plant and G-13 x Northern Lights #2. 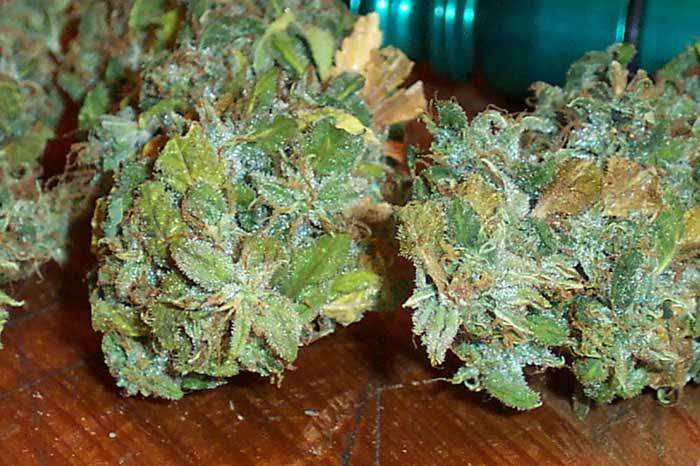 The catalog says: "The G-13 is an amazing pure indica discovered by the government's research program in Mississippi. Largely grown as an indoor commercial specimen in the United States, G-13 has proven to be one of the best plants of our collection". Interest in G-13 has grown tremendously since the HIGH TIMES magazine demonstrated a G-13 photo that claimed to have a 28% THC level, the highest ever seen. Sensi Seeds responded to this interest by making it very expensive. These incongruities about their real potency point to another source: the US government, and perhaps some private producer. There are a couple of theories about it, where it got its name. One of those theories says that G stands for "government" and the number 13 is just the number of the plant belonging to a certai lineage of seeds that turned out to be of excellent quality. The other theory says that the G13 name means greenhouse 13 where the plant was supposedly planted and then obtained. Either way, this plant has been accumulated a lot of rumors about its origin and several banks offering this genetics are just not what they say it really is. In fact, at present we have no way of determining if these plants are related to the original plant. Regardless of the original plants, one thing is sure is that there can be no pure G13 available in seed form, because according to the most realistic theory explained, only one female plant was offered to Neville and as far as is known it was self-pollinated in feminized seeds. Nonehteless, and even if you can not get a G13 seed without being crossed, there are three reputable sources that have genuine G13 hybrids where the grower can have access. One is Sensi Seeds, which was created by Neville Schoenmakers under a different name and later by Ben Dronkers. The second is Mr Nice Seedbank and Soma Seeds. The original lineage of this variety is hard to know. It is said to be of Afghan origin from a pure selection, but there is no way to say with certainty what is its genetic makeup. From the plant, we can see solid characteristics of Indica Marijuana being the most probable and accepted estimate. Some pages refer to it has being a Sativa strain but they are wrong. It is well-known that on Internet you have to compare different data to know whether is true or false and G13 throughout its history is known to be a predominantly or even Indica pure strain. By purchasing the G13 clone, Sensi Seeds seed bank managed to create a whole G13 F1 hybrid range. Some of the most remarkable creations were G13 x Ortega, G13 x Hashplant, G13 x Northern Lights #2, G13 x Haze and G13 x Skunk #1. Nowadays they only available commercial version is G13 x Hashplant in seed form and can be considered the closest relative to the original plant. The G13 x Skunk was said to be the best hybrid and Neville brought it to the attention of Shantibaba in Mr. Nice Seedbank after working with alarmingly low germination rates because of 20-year-old seeds. Shantibaba crossed G13 Skunk he had got from Neville with some Skunk #1 with his famous Black Widow getting a great success and rejuvenation of the old genes. At that time, the original G13 mother from Sensi Seeds had already lost so much vigor that the plant finally passed away along with its pure genes. At that moment G13 Haze found its way into the hands of Soma thanks to a gift of Ed Rosenthal who had acquired them from Neville. In this way, he was able to start producing in a suceesful manner several new varieties using G13 Haze. Doing several reseach about the story of G13 marijuana, one does not stop to clash with some clones of private growers that supposedly come from the mother of the original and famous G13 obtained by Neville. These include aeroponic G13 clones which actually resemble more to G13 x Northern Lights #2 hybrids, the G13 So Cal, Louisiana clones and G13 Pacific clones. Knowing if these clones are really what is said is however impossible since we only have photographs to study them. If some of the original G13 genes are indeed doubtful, they are likely to be related to the F1 hybrids created on Sensi Seeds rather than the original parent plant. The dream of acquiring some pure G13 seeds quickly shatters when all the evidence comes to light. The simple answer is that they can not be found. This plant lives on the legend only through several hybrids that could be obtained from when the original plant was alive which can be traced back to Neville Shoenmakers and Sensi Seeds. The closest relatives that can be found in seed form today are varieties that Sensi Seeds with their G13 x Hashplant, Mr Nice Seedbank with their G13 Skunk and G13 Haze, and most recently the G13 Haze from Barney's Farm. Nonetheless and in the end, we still have powerful or even more powerful strains even if none of them have a story as such espionage movie.